The secret is out: seniors are having the best time of their lives! If you're thinking about joining approximately a million other senior Americans who enjoy assisted living communities you may be wondering if you'll get bored in your new home. In fact, the opposite is true: because staying active plays a big part in staying healthy there are always plenty of things to do at Daystar. Why? Research shows that staying physically and mentally active fights depression, cognitive decline, and physical ailments in older Americans. There are many reasons seniors living alone limit their activities, and usually, the decline is gradual so it's not as noticeable. Often it's part of a cycle: they don't feel like cooking a full meal just for themselves, so their diet becomes limited and less nutritious. The lack of nutrition depletes energy and health, so they don't really feel like exercising or socializing. The lack of exercise and socialization may mean appetite and health suffer, and the circle continues in a downward spiral. In assisted living, the first focus is on nutrition. A healthy, balanced diet based on individual likes and needs promotes basic good health, which means energy goes up and depression and lethargy go down. If you think of the human body as a machine it makes sense; top quality fuel and maintenance means the machine will run at optimum performance. Because many seniors have limited or no driving options, it's good to have planned outside trips. Plan adventures by either setting up a private vehicle, with family members or via campus transportation. There are a lot of communities that have events where anyone can tag along! Daystar Retirement Village has made senior activities a key component for residents, focusing on the four main areas that are most beneficial to senior citizens: staying physically active, getting out and about, hobbies and crafts, and games seniors will enjoy. 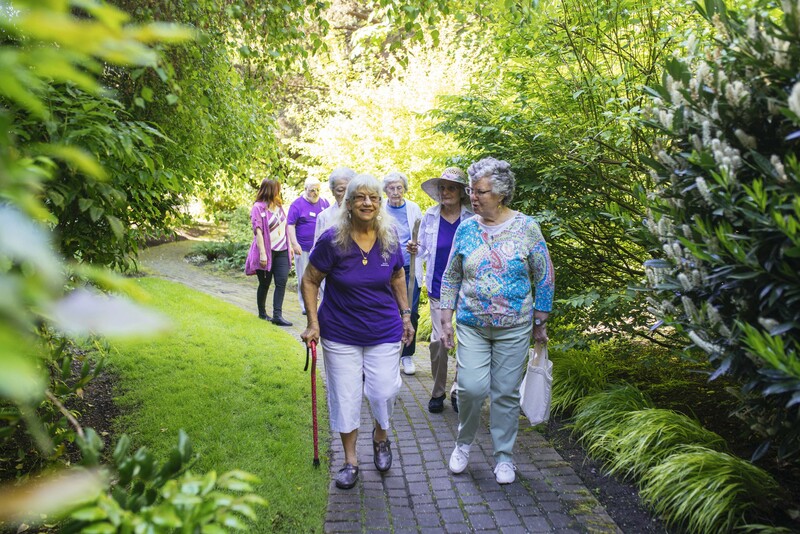 Here's an in-depth look at each of these areas of senior activities you may choose to enjoy when you join the Daystar community. Staying physically active can be a challenge as you age, so Daystar makes this a priority for all residents. Each senior has a private evaluation to determine their physical needs, so the activities recommended will give the optimum results. Because exercise improves mobility and strength progress and goals will change regularly so they can see their own personal achievements rather than being compared to others. Physical activity has a wide range of benefits, and the great thing about becoming physically active is that the more you do the more you're able to do. An excellent example of this is walking, especially after an illness or injury. The first few days you may only be able to walk a few steps but that soon expands to a block, then a quarter mile. Within a few weeks, your strength builds and with it your endurance and before you know it you're walking longer distanceswith a more confident stride. Depending on personal ability residents at Daystar can enjoy a wide range of physical activities and just like walking they can participate as little or as much as they want. Besides building strength and endurance physical activity helps combat depression because exercise releases endorphins, which are mood-boosting chemicals in the brain. Likewise, exercise improves the blood flow to the brain and improves mental capacity and boosts cognitive functioning to keep the mind healthy and sharp. Exercise is usually a social interaction, too. Joining an exercise class means seniors can enjoy the company of neighbors and friends, engage in conversations, and catch up on the latest news. Last but not least exercise speeds healing as much as 25 percent. If your senior has an injury or wound it will most likely heal faster if they exercise regularly because circulation is improved and blood flow is a key component in healing. Staying active isn't just about physical fitness classes and events it's also about seeing new places and doing new things as well as enjoying old favorites. At Daystar all the work is taken care of ahead of time so if you want to go on a trip you won't have to worry about transportation, tickets, and scheduling. You can just check the monthly calendar of events and sign up for your favorite choices! Every month there are new events, and that's important because keep the minding engaged and learning new things is a vital part of staying healthy. A recent study by the University of Minnesota states being outdoors in an area such as a park or nature trail promotes mental and spiritual healing as well as physical wellbeing. 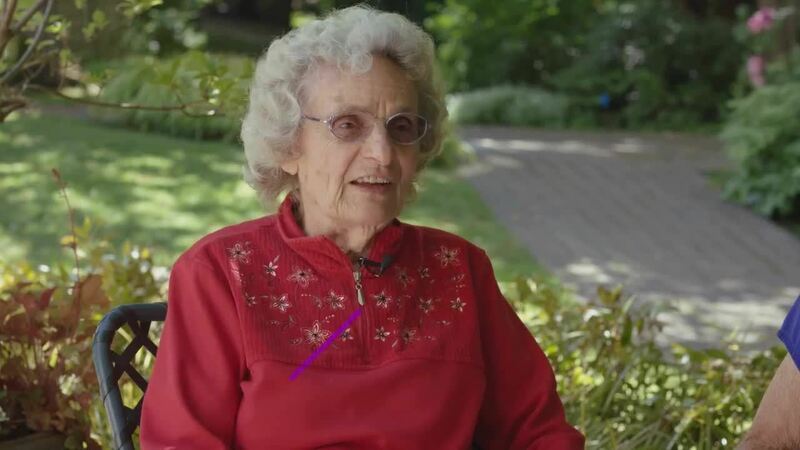 See more from the University of Minnesota about how being out in nature helps with the quality of life in seniors. Learning doesn't stop when you retire; the fact of the matter is the more you do and learn the less you forget! Enjoying new experiences helps your mind stay healthy and reduces the chance of cognitive decline. It also promotes independence as each senior can do as much or as little as they wish during each trip. Although there's a full activity calendar to choose from there's also a big daily bonus for residents of Daystar: Westwood Village is just across the street with banks, pharmacies, 30 plus retail stores, and eight restaurants. That means seniors can walk across the street any day they choose if they want to do some personal business or shopping or just browse the shops and stop for coffee. Things for Seniors to do in the Seattle area. 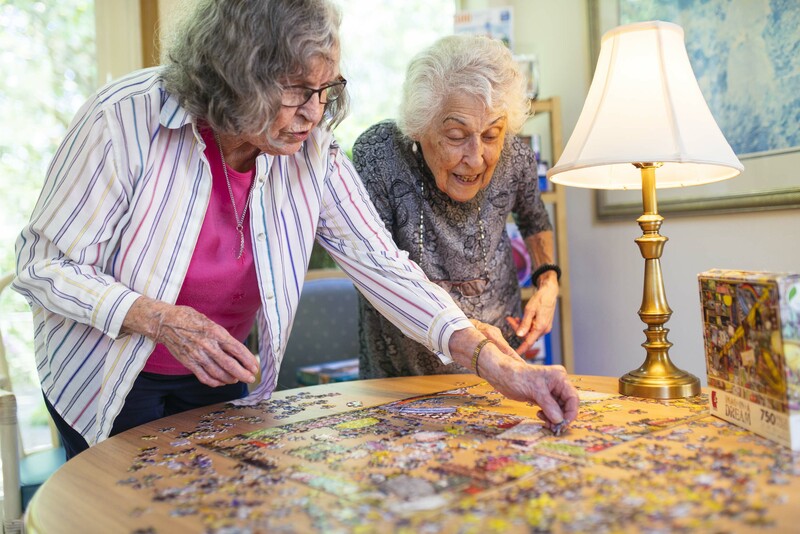 Hobbies and crafts do more than pass the time and keep your hands busy, and that's why they're an important part of life for Daystar residents. If you've been wondering whether you should take up a new pastime here are some great ideas to get you started. Crafts like knitting or sewing help keep your brain healthy because it promotes cognitive thinking. Which is a great way to prevent the onset of dementia. In fact a study done by the Mayo Clinic found those with a hobby had between 30 and 50 percent less chance of developing impaired thinking than those who spent their spare time watching TV! You can read more about the benefits of knitting provided by the Mayo Clinic. You're also more likely to have enhanced memory function if you enjoy a hobby or craft that makes your brain work. Crafting can also have a better sense of well-being since they have something to show for their effort and often share this pastime with others. Hobbies can also reduce stress because you have something creative to focus on instead of the things that you're worrying about. Ask around. Some of your friends are bound to have hobbies and would love to show you the basics. Check with your social group and see what they're doing in their spare time and see if anything catches your interest. Remember, you can try all kinds of things, not just one. Look for local hobby and craft classes. Craft stores usually have all kinds of classes, as do local colleges and universities. A bookstore will have an entire section dedicated to arts and crafts and hobbies, too. Check the internet for sources of classes and hobby groups you might attend either nearby or online. Most social media sites have groups dedicated to specific crafts and hobbies and you can get some great ideas and tips from members. You'll probably meet some new online friends in the process! Although knitting and crocheting are the most common hobbies that most people think of seniors enjoying there are dozens more you can enjoy. Take a virtual tour of our Activity Room! Want to walk around yourself? When folks hear games for seniors the first thing that usually comes to mind is Bingo. While Bingo is indeed a regularly scheduled activity at Daystar Retirement Village there are many more games seniors can enjoy and many good reasons they should. A study done by the Rush Alzheimer’s Disease Center in Chicago found that cognitive decline in highly social seniors was a full 70 percent lower than that in seniors who didn't interact as often. Playing games improves your memory; especially games that make you match items or remember facts. A good example is Trivial Pursuit which can be found in a wide variety of subjects that are keen to the Baby Boomer generation. Games can also improve your hand-to-eye coordination; you can even get a video console that lets you enjoy bowling, golf, and similar sports in the comfort of your living room while you add a bit of exercise to the challenge. Just as important as playing games, it's who you are playing with. while you may have your friends and neighbors at Daystar in mind there's also plenty of games you can enjoy with your adult children as well as your grandchildren. Most kids are familiar with the card game UNO, and what teen wouldn't love to brag that he taught Grandpa how to play Warcraft? You can even find games on social media and other websites, both games to play alone and interactive games to play with others. If you'd like to know more about the activities you can enjoy at Daystar Retirement Village check out our current calendar of events or schedule a visit soon!